Credit cards from Standard Bank give you a powerful, safe feeling when you need cash at your fingertips. Their credit cards allow you to make purchases from thousands of merchants across the globe. Whether you love to shop online or wander around in stores taking your time is up to you. 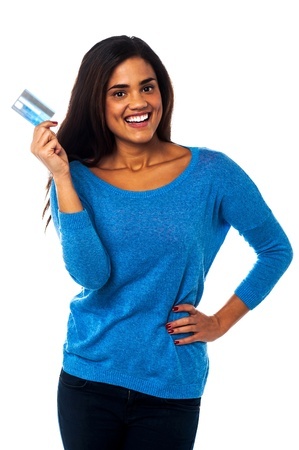 A Standard Bank credit card keeps you safe with its secure chip and PIN requirements. The three card types are Platinum if you earn from R58 000, with Titanium your income must range from R25 000 and the Standard Bank garage card. A repayment option to pay the minimum amount will meet all your needs.The rate is low at 3% or 10% if it is the Accelerate and MasterCard unembossed cards. Pay for goods via the Internet if you registered with MasterCard secure code. Free internet, telephone and cellphone banking when you link your credit card to your web profile. Also free is a debit order so that you can pay your account. The cards have a chip inserted and with your special pin number, prevent any fraudulent use of your card. You can only use your smart card if your secret pin number gets entered in for your transaction at the merchant. Get it – Got it? You can save money through the responsible use of your credit card. Cut costs simply by making use of Standard Bank’s self-service channels such as their ATMs. Use your cell phone, the internet or telephone banking rather than going into the branch. You won’t be sorry when you invest in the Standard Bank credit card. All you need to do is to apply online at www. standard bank.co.za. Download the secure app on your smartphone or your tablet. Get your Standard Bank credit card today.